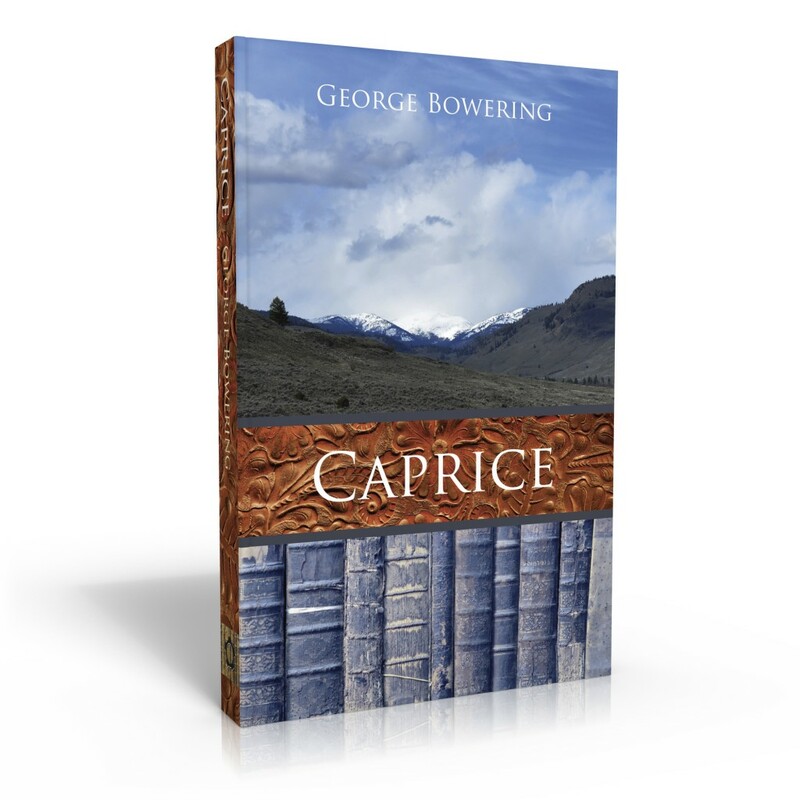 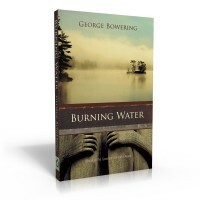 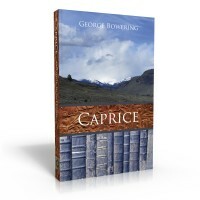 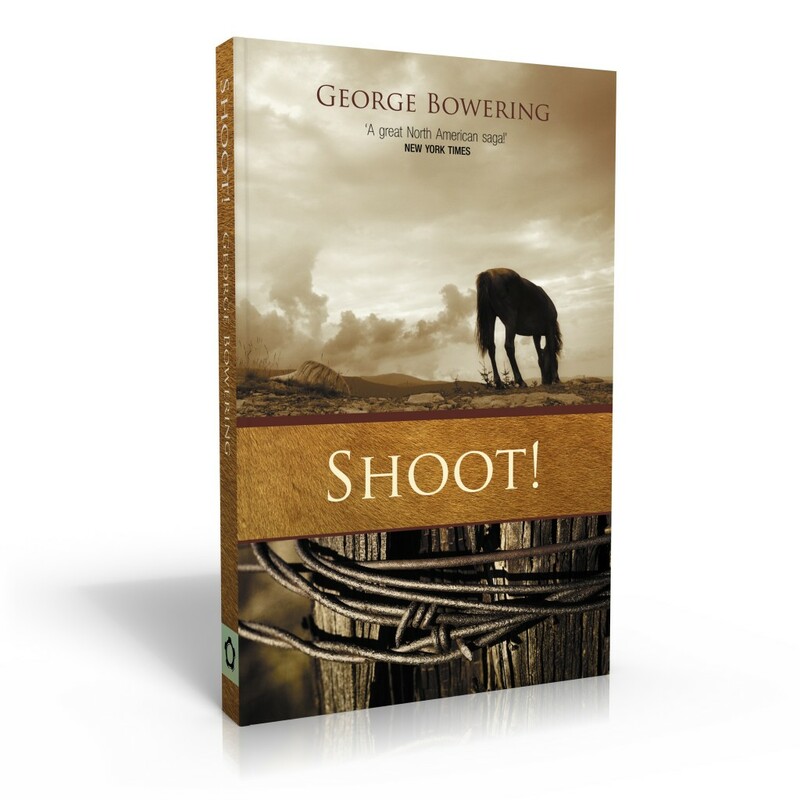 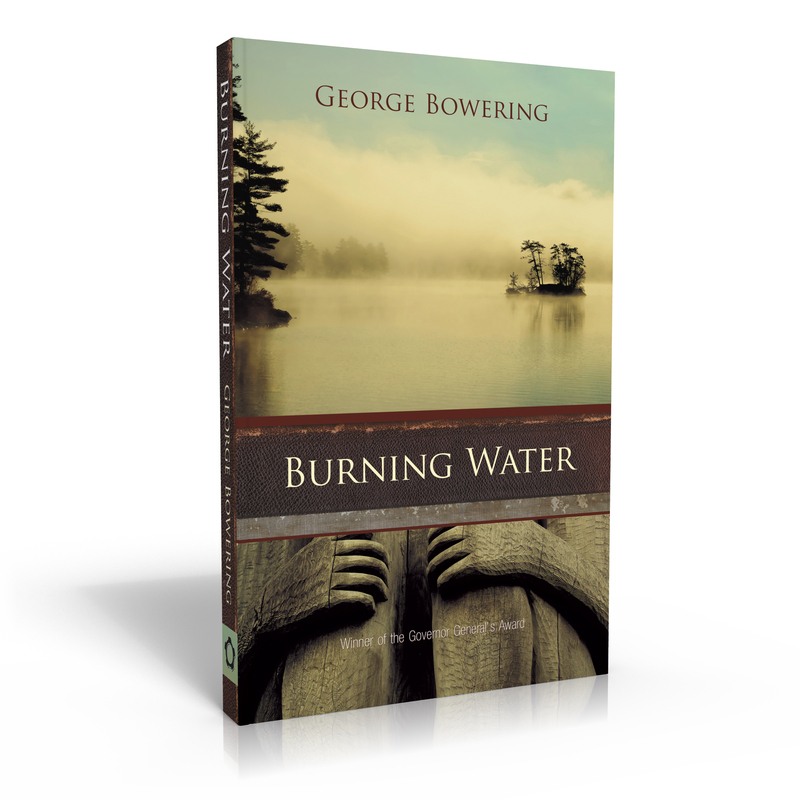 The three books in George Bowering’s series — Burning Water, Shoot!, and Caprice — share a common jacket design. 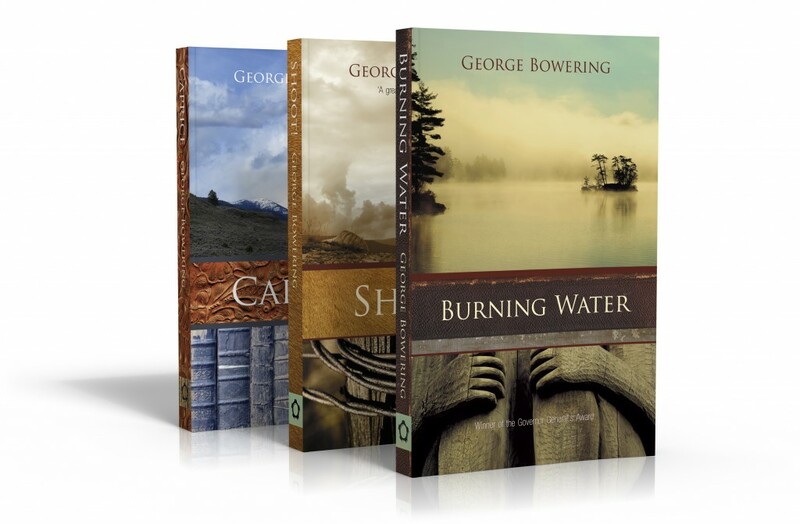 Each features a British Columbia landscape above a horizontal band of texure (leather book binding, horsehide, hand-tooled leather saddle), and below a cropped detail shot that evokes a central theme of each of the novels. 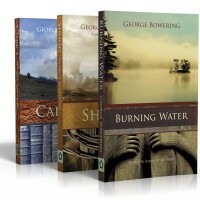 Each has a slightly different colour palette to further distinguish them.